Sub-optimal table join order - Identification of the best driving table is critical to SQL performance. In an n-way table join, Oracle must join the tables together in a way to minimize the intermediate result sets. Improper table join order is most often due to sub-optimal CBO statistics, especially missing histogram statistics. Sub-optimal table join methods - This is usually the choice between nested loop joins and hash joins. For situations where you have a large pga_aggregate_target or hash_area_size (pre-Oracle9i), certain joins operations may run far faster with hash joins. Unnecessary large-table full-table scans (LT-FTS) - The CBO may decide to perform a full-table scan when an index scan will retrieve the data with far less disk I/O. While not all large-table full-table scans are unnecessary, the LT FTS is common where Oracle's Cost-based SQL optimizer makes a sub-optimal access decision. When any of these conditions are true, the optimizer may make poor decisions about the choice between a full-table scan and an index scan, causing huge amount of unnecessary disk I/O. Sub-optimal CBO statistics - This is usually the result of not analyzing with dbms_stats, taking a too-small sample size, or failing to place histograms on skewed columns. Missing indexes - If the WHERE clause of the query does not match an index, the CBO may perform an unnecessary FTS. Incorrect object parameters - Setting a table to a too-high value for dba_tables.degree will make the CBO friendlier to full-table scans. One important aspect of Oracle SQL tuning is the identification and inspection of full-table scans. 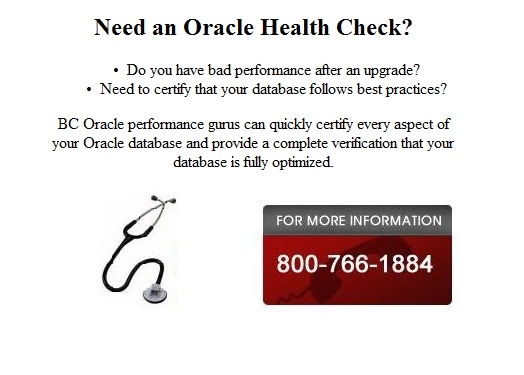 However, Oracle distinguishes between the types of scans depending on the size of the table. The popular Ion tool is the easiest way to analyze Oracle table behavior (average CPU cost per table access shown above) and Ion allows you to spot hidden table-related performance trends. Ion is our favorite Oracle tuning tool, and the only 3rd party tool that we use. There are two types of full-table scans, those against small tables STR-FTS and large-tables LT-FTS. Let's start by exploring the threshold between large and small tables. Remember, by small, we refer to the number of data blocks, not the number of rows. For example, consider a table where dba_tables.avg_row_len = 32 and db_block_size = 32k. In this case, a 3,000 row table would fit comfortably into only 4 data blocks. In a case like this, it is almost fastest simply incur 4 physical gets and load the entire table into the data buffer. In Oracle7 and Oracle8, the size of small tables was defined by the small_table_threshold parameter, but in Oracle8i, the definition of a small table was changed to be any tables whose total data blocks is greater than 2% of the number of blocks defined by db_cache_size. (You can still change it with the now-hidden parameter _small_table_threshold). Because the definition of a small table scales with the size of the SGA, a 200 block table may be considered small on one database and large in another. Small-table full-table scans (ST-FTS) are often the best solution for small tables. If the number of incoming FTS data blocks exceeds the 'empty' RAM blocks in db_cache_size, Oracle will recycle through the empty blocks, only caching the last n blocks that fit into the data cache. This is a common technique for ensuring that rows from an LT-FTS do not flush cached blocks from the buffer for other tasks. Given this difference in behavior, it follows that small-table full-table scans (ST-FTS) should be cached inside the Oracle KEEP pool to prevent excessive disk I/O. Creating a function-based index - One common technique is to match the WHERE clause of the query with a function-based index. Using index hints - If the CBO does not have enough statistical information about an index, you can force the CBO (temporarily) to use the index by adding an index hint to the query. Once the fastest execution plan is derived, the tuning professional will enforce the execution plan by creating schema statistics to ensure that the CBO will always use the best index access. The problem with ST-FTS occurs when a popular table is referenced. Because the FTS data blocks are not touched (pinged to the MRU end of the buffer), ST-FTS rows age quickly from the buffer, requiring Oracle to re-read them, over and over again. In Oracle9i and beyond hidden parameter called _adaptive_direct_read that ensures that small table scans are cached. However, it is still a good idea to identify these small tables yourself and cache them in your KEEP pool. The keep pool is a wonderful resource for ensuring that an object always resides in the data buffer RAM, and this is one of the few ways to guarantee 10% caching. Now that we see the benefit of caching frequently-referenced table and indexes, we see how the KEEP pool is most important to small objects that are read into the data buffers via full-table scans. 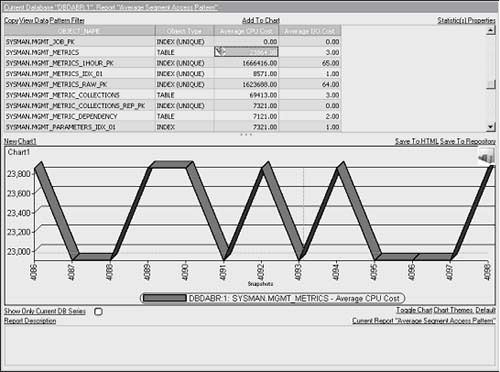 For most objects in an OTLP system, aces is performed via an index, and only small tables will have full-table scans. Also, remember that frequently-referenced data blocks accessed via an index will tend to remain in the data buffer without using the KEEP pool because they are pinged to the MRU end of the buffer every time they are referenced. The behavior of direct path reads changed in Oracle 11g release 2. Before 11gr2, full table scan access path read all the blocks within a table (or a index fast full scan) into the buffer cache unless either the "_serial_direct_read" hidden parameter is set to "true" or the table/index has default parallelism set. In sum, in 11g release 2 and beyond, Oracle will automatically decide whether to use direct path reads (thereby bypassing he buffer cache) with full table scans. The hidden parameter "_small_table_threshold" defines the number of blocks to consider a table as being "small". Any table having more than 5 times the number of blocks in "_small_table_threshold" (if you leave it at default value) will automatically use direct path reads for serial full table scans (FTS). Until solid-state storage with nanosecond access speeds become affordable (It is becoming affordable quickly, and it's now only about $1k per Gig), most Oracle DBA's must work hard to reduce unnecessary disk I/O by carefully managing their data buffer pools and tuning their SQL statements. Many vendors are offering RAM-SAN storage that provides data access thousands of times faster than disk. By 2015, this type of solid-state storage will make the data buffers obsolete, and all frequently-referenced data will reside on high-speed chips instead of disk. Until that time, the Oracle tuning professional must watch both large-table and small-table full-table scans and take the appropriate action to reduce disk I/O.